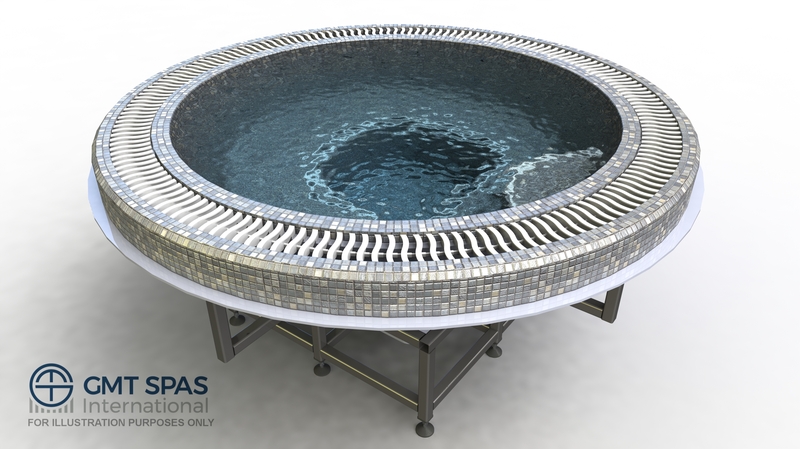 Delightfully crafted tiled spas for the hotel and leisure industries. 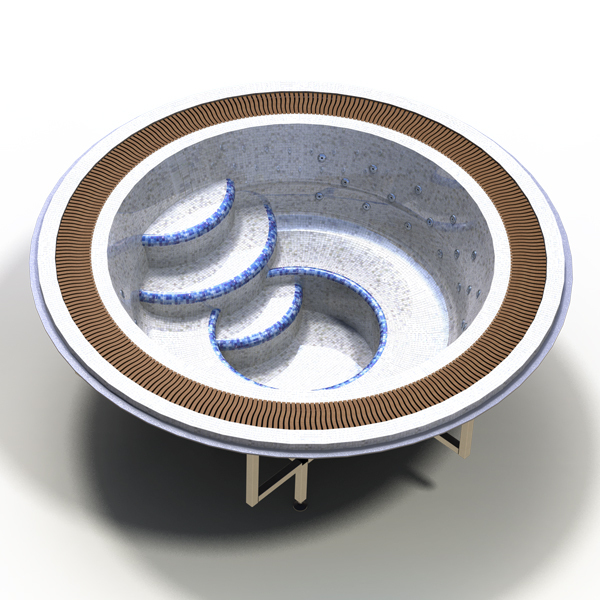 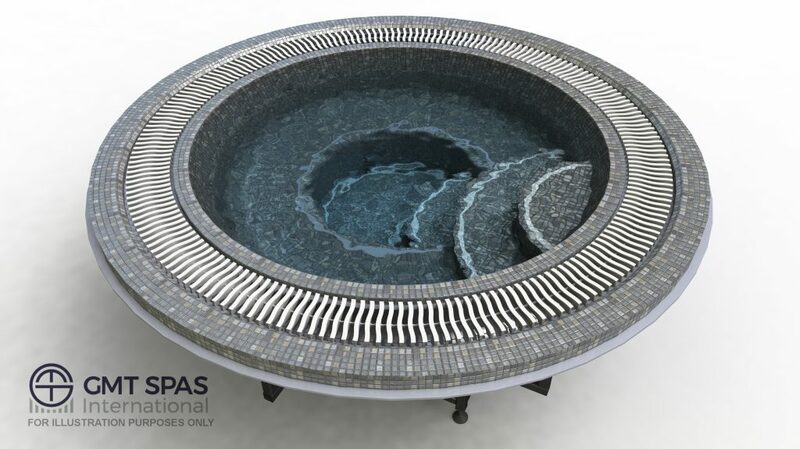 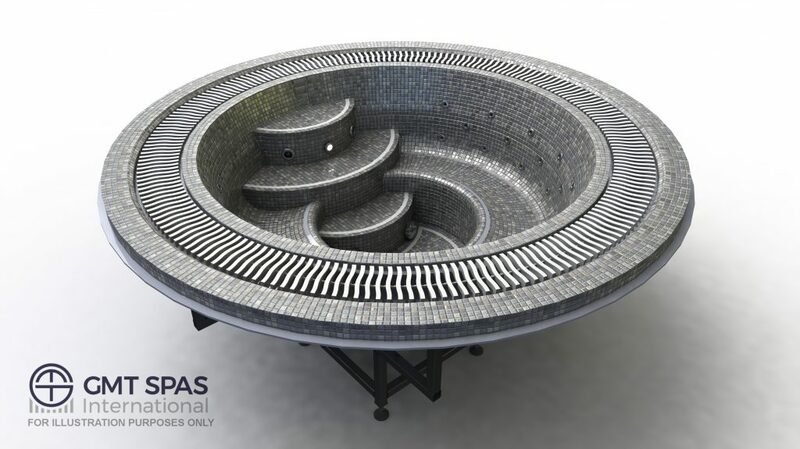 Sunken bespoke mosaic spas available in Round style from Ø2.1 to Ø3m sizes and Square style from 1.5m to 3.5m sizes seating from 4 to 12 people. 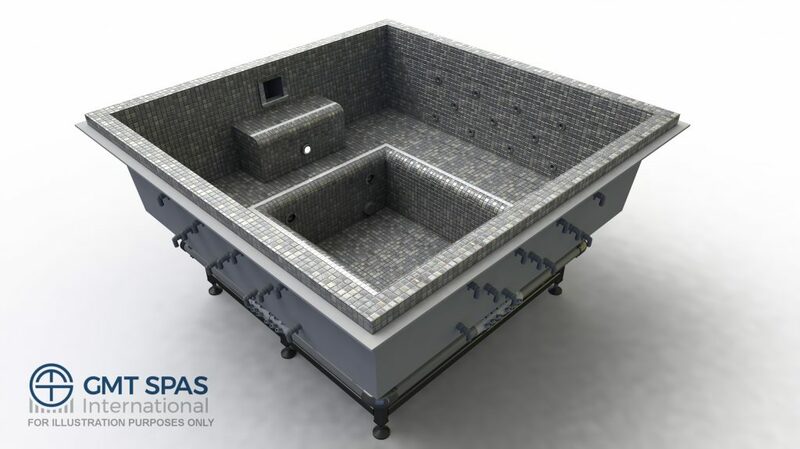 The spas can be tiled in various colour choices along with many pattern and colour graduation options. 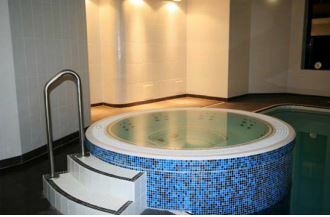 Each and every one of our spas is sculpted from the very best raw materials on the market today, with water, chemical and heat resistant fibreglass and gelcoat materials, as used in the marine industry, and then finally coated with a heat retaining polyurethane foam to ensure your client satisfaction. 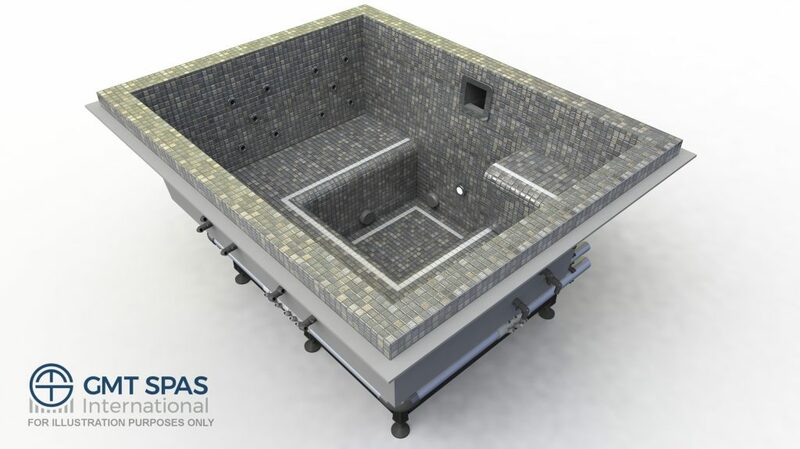 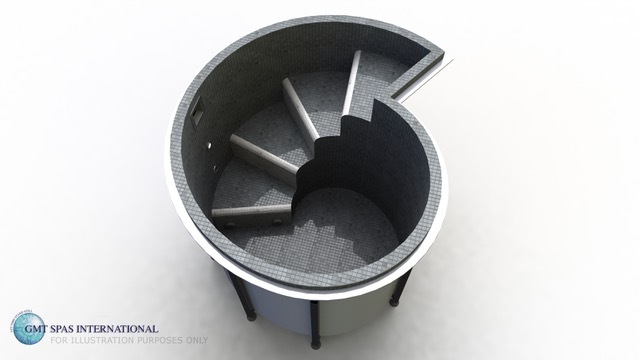 3D rendering of our spas can be provided to show how the finished design will look like both on its own and in situ. 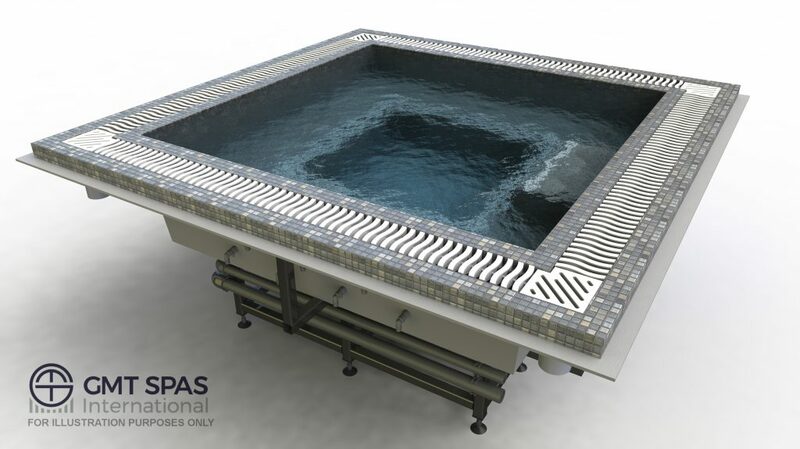 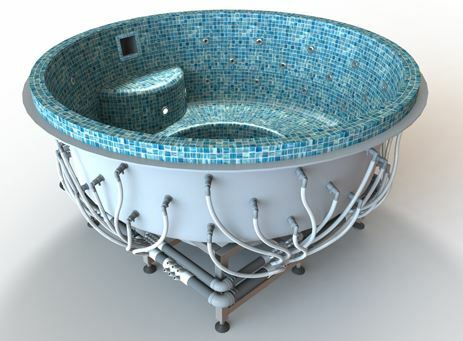 The Aquatubs bespoke mosaic spas come in two styles: Freeboard or Deck Level. 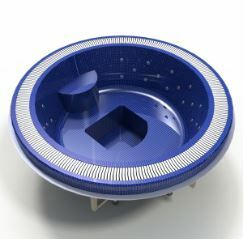 For the Freeboard spa, the water level is below the deck level. 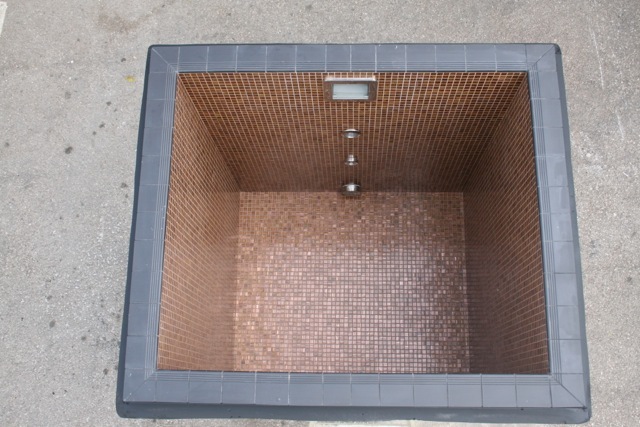 The use of border tiles immediately above the water line can create an attractive visual effect. 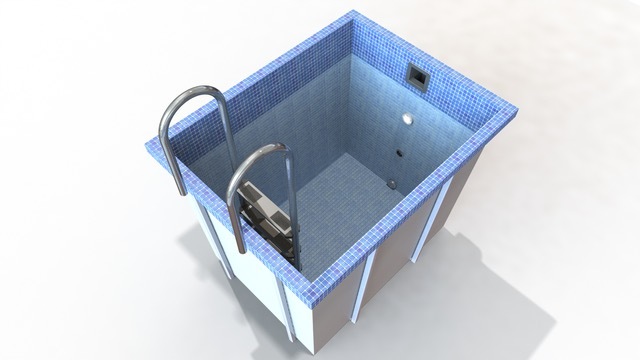 The Freeboard ensures spa users are aware of the perimeter of the spa, by the water level being at a different level to the deck. 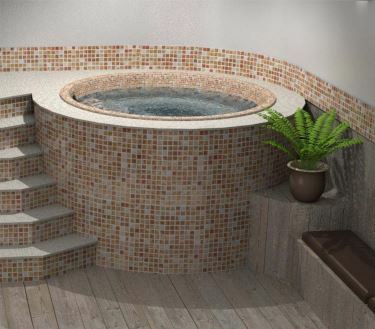 A Deck Level spa is where the water level for the spa is at the same level as the deck. 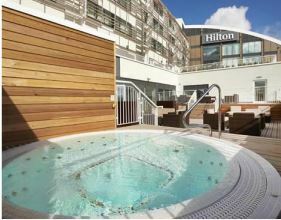 When the surface of the spa is flush with the deck, it creates a highly reflective surface and sleek contemporary look. 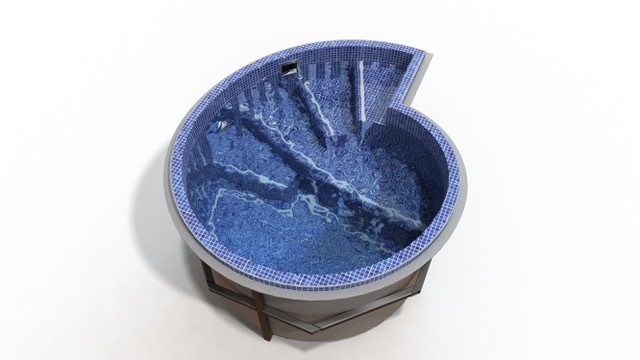 The water appears motionless as it flows over all the edges simultaneously. 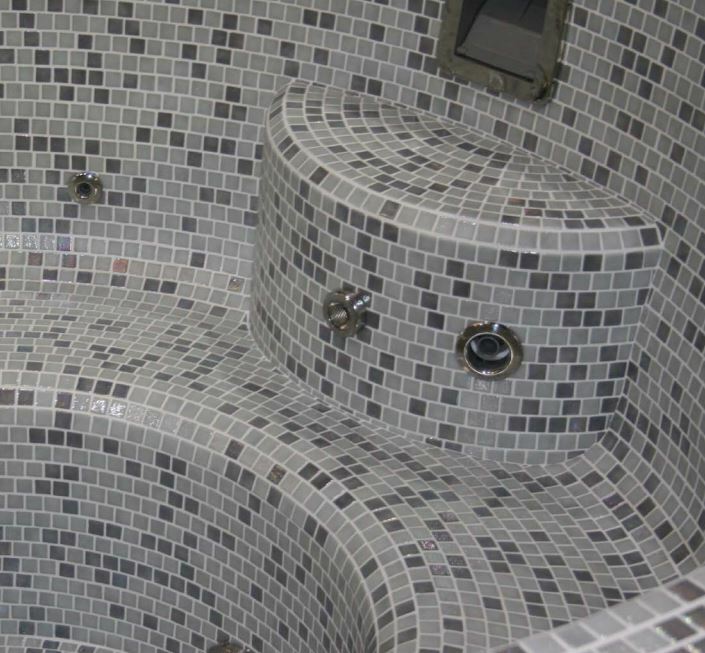 and the right choice of tile colour, pattern and graduation from our ranges below.